Make plans now to join us on Saturday, February 2, 2019 for a spectacular evening of fun and excitement! 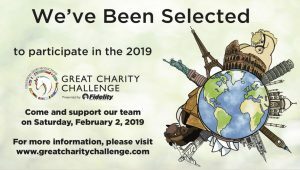 We are absolutely thrilled to have been selected to participate in the 2019 Great Charity Challenge. For more information please click here.